Posted March 26, 2018 in Diet Management, Featured Post, Tips, Tags: beverages, organic phosphorus, phosphate additives, Phosphorus, phosphorus additive, serum phosphorus by Annie Jacobson, RDN, LN. So you’ve been avoiding dark colas to help manage your serum phosphorus level. Yet, you are still struggling to keep it in goal range. Well, I’m here to tell you there are other phosphorus laden beverages that may cause phosphorus to run high. The food industry has been using more and more phosphate additives to preserve or lengthen the shelf life of a variety of foods and beverages. The problem is there are no regulations for the nutrition facts label to include phosphorus content. This is true whether it happens to be a phosphate additive or naturally occurring. 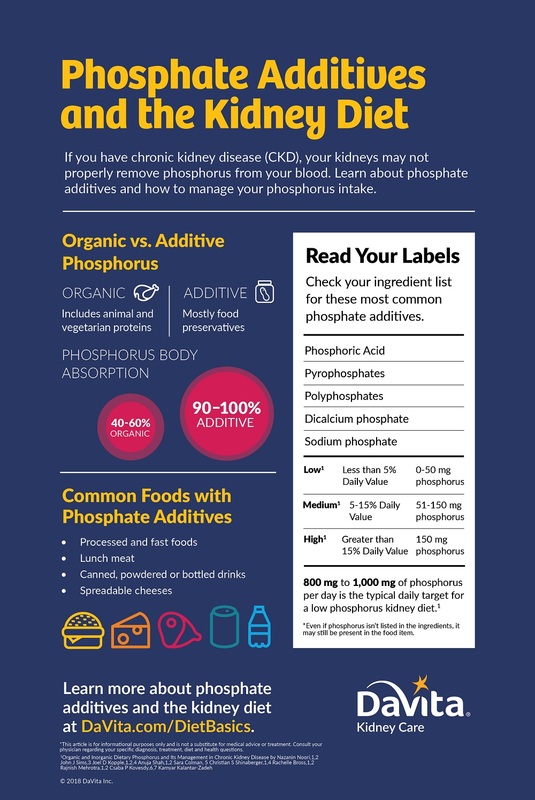 This is an issue for people who closely monitor daily phosphorus intake: those with chronic kidney disease (CKD) and end stage renal disease (ESRD). Dark colas or soft drinks have been well known to the ESRD community to contain highly absorbable phosphate additives. Cow’s milk is high in phosphorus, leading to limits on the amount to include in a kidney diet. Surprisingly, certain brands of flavored waters, iced teas and sodas now contain phosphate additives. These additives are used for coloring, flavor enhancement, emulsification and to extend the product’s shelf life. Patients with CKD or ESRD have been encouraged to limit certain fruit juices due to high potassium content. Aside from potassium, some varieties of sugared juice-like drinks (with 0% actual fruit juice) and lemonades are some of the biggest culprits for phosphate additives. Specialty coffee drinks that are made with milk (i.e. lattes, cappuccinos and mochas) are also a significant source of phosphorus. Even some powdered drink mixes contain phosphate additives. Included are those that contain calories and the calorie-free options. Why? The phosphate additive keeps the powder from clumping. Wickham, E. (2014). Phosphorus Content in Commonly Consumed Beverages. Journal of Renal Nutrition, 24(1), e1-e4. Annie Jacobson, RDN, LN has been a registered dietitian for 10 years with the last year spent in the renal specialty. 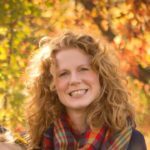 She previously worked in long-term care, gaining a specialty certification in Gerontological nutrition. Annie loves talking to anyone and everyone about nutrition, but only if they ask first. Her passions are family, fitness and nutrition. She recently joined a CrossFit gym and admits she is a little addicted! My name is Shannon, I have CKD and go from stage 4 to renal failer over night. My problem is not high results of elecrolites but very low. The last hopital stay they had bags hanging every where. That’s a lot of weight loss. It is not unusual to lose weight because of appetite changes and diet restrictions in stages 4 and 5 CKD. There are nutrition supplements your doctor can prescribe if you are unable to eat enough calories to gain weight. Also your dietitian can provide tips to increase your intake. Read the article “Dealing with appetite problems for dialysis patients” for tips you can use now. Hi my name is Cathy !! !My kidneys are at 11 %! I like carbonated flavored water like ice ! Is that bad to drink it’s 0 cal and zero all the way down !!! It’s just carbonated wanted to check before I started to drink it again !! Thank you for your time !! Trying for a transplant instead of Dialysis!! One of the biggest concerned about drinks is if they contain phosphorus additives. A tip is to look at the ingredient list. If there is any word that contains “phos” in any part of the word, that is a phosphorus additive. These are what you are looking to avoid. You always want to double check, sometimes companies will change their formula from time to time.